We are a small, family-owned company, specializing in personal service. When you contact us, you will speak directly with R.L. Stolz or Karen Stolz. As owners, full-time professional mountain guides, and founders of Alpine Adventures, we will be able to answer questions about any aspect of our programs or business. Please keep in mind that we are often in the mountains, climbing or skiing, during normal business hours. While in the mountains we are unable to take your calls or email. Also, we are sometimes incommunicado for a week or more at a time while guiding away from the Adirondacks. The best way to contact us is to call our office at (518) 576-9881. The best time to talk to us, rather than our voice mail, is between 8 a.m. and 9 a.m. or during the early evening. 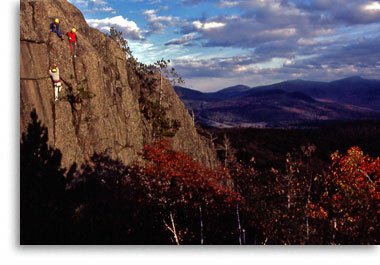 Unfortunately, cellular coverage in the Adirondacks is poor, so we can not rely on our cell phones to stay in touch. You should not expect reliable cellular coverage when you are in this area either. We can be reached by email at mail@alpineadven.com. Clicking this link will open your email program and place “AA Web Site Contact” in the subject of your email. Without the “AA Web Site Contact” subject your email may be filtered as junk and we will never see it, so please make sure you do not change the subject. We receive hundreds of junk emails each day so we employ aggresive filtering for all of our incoming email. Rarely, our filters will classify an email we DO want as junk. If you do not receive a reply from us, please try contacting us by telephone. Once you have enrolled in one of our programs, you will not need to be concerned about your email subject unless you send emails from an address we do not have in our records. You may wish to place our email address (mail@alpineadven.com) in your address book so you will be sure to receive messages from us. Our Personal Information Form will submit your contact and other information to us via email. With your personal information on file we can quickly, and easily, contact you with confirmations for our programs, specific information you might request, newsletters and general information about Alpine Adventures. 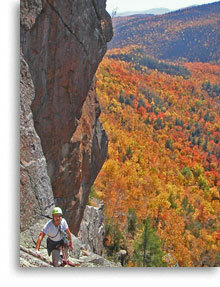 Receive our newsletter periodically and keep up-to-date on happenings at Alpine Adventures. If you wish join our mailing list, but not provide other information to us, go to our Personal Information Form and enter just your name and email address. We respect your privacy! Names and email addresses provided to Alpine Adventures, Inc. will never be given, sold or bartered to anyone for any reason. Period. To be removed from our mailing list please email us and we will delete your name from our database.